2015 will see me start training and competing in triathlons, with the end goal beingXterra. Since I achieved my long-term goal of completing a solo 24hr race and I felt a change in focus would help my enthusiasm for cycling. Xterra appeals to me as it will compliment my mountain bike skills and the swimming is helping my general fitness, and it will also help fill those wet & windy winter mornings and evenings. I only started learning front crawl in September, I’ve gone from struggling to swim 50 meters to regularly swimming with a Tri club… but I’ve still got some way to go! I used to run regularly as a teenager, but I’ve strayed away in the last few years, my initial experience was a strict walk/run program but this soon got boring so I did a Park Run, managing sub-20 mins on my first attempt, unfortunately I soon injured myself and haven’t run properly in a month; 2015 will be a steep learning curve! I plan to race a select few cross-country races, particularly the Southern XC series. 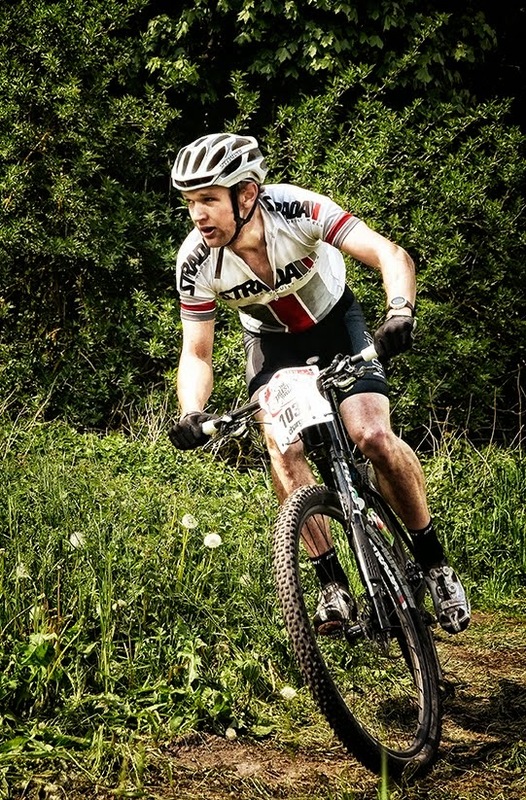 I have a few endurance races in mind, including Margam Madness and Erlestoke 6hr. I have a passion for road cycling but only I race selectively due to the high chance of crashes. Finally, I hope to find a few triathlon races to help start the learning process. But first I’m going back to Lanzarote to race the Club La Santa 4 day stage race!! I’ve been racing the Gorrick Merida Brass Monkeys winter series since 2011, that year I raced every round on a rigid single speed and finished 5th in the series. I loved the format and the motivation they provided during the potentially tough winter months, plus the courses are ace and the organisation is great! I had been looking forward to the first round, it had been a goal to get fit for after a difficult few months with injuries and poor race results – post my 24 hour solo race in July. Unfortunately, on the odd occasion the weather doesn’t play ball, the first round was one of those days; I drove there in the pouring rain and my go-to winter race clothing of a Castelli Gabba jersey really didn’t provide enough warmth or waterproofness for 4 hours in the rain. I lasted well for the first 3 hours, and despite the terrible conditions the course was mostly rideable and good fun, but then it got really cold. My back brake was seizing and my will to suffer ran out when I should have ridden another lap. Finished 14th! After the first round issues I got a few solid weeks of training in despite picking up a nasty injury from running – luckily, it didn’t hamper my cycling too badly. The second venue was at Tunnel Hill, one of my favourite venues and the course was fantastic, almost bone dry and fast. It was cold but I had a warm bottle of Torq energy, and it was dry. I had a good race, rode a super steady but consistent pace and secured a comfortable 4th place, my best Brass Monkeys result to date. Now I know how much nicer it is to drink warm bottles instead of frozen cold it really helps keep the hydration and energy levels up in cold conditions. I was 4th in the series, I’d had a great month of training (clocking up almost 400 miles in the last week of December and completing Strava’s Festive 500) and the weather was looking dry. Unfortunately, on Friday I picked up a nasty sickness bug, this left me quite wiped out all of saturday, never the less I packed the van and got an early night. The sunday was freezing cold, I wrapped up warm, proper base layer and Gabba jersey. I got a reasonable start but the fast 3 of Rich Penning, George Budd and Scott Chappel were long gone, I struggle to match them on a good day! I stayed comfortable, conserving energy and spinning a nice gear. The first 4 laps went well and I felt ok in 4th place, then my stomach started playing up. Despite the warm drinks and tasty Torq gels I wasn’t feeling well, my pace dropped off slightly and I lost a place to a flying Team Rotor rider, but I pushed on for a grim 6th lap – despite the sickness, I had hoped I could finish 3rd overall in the series if I just held on. In the end I finished 5th, and 4th overall in the series, which is still a good result despite all of the issues, and good winter beasting! Next up, I head to the (hopefully) sunny island of Lanzarote for the Club Lasanta 4 day stage race. My second attempt at this event and now I know the score I’m feeling confident!